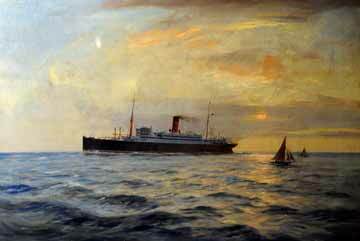 An oil painting by Arthur J Burgess (1879 – 1957) represents one of the ‘A’ Class liners pictured at sunset, heading out to sea with two yachts off her port side. The painting can be seen in the Merseyside Museum. Liverpool born marine painter and illustrator, Walter Thomas (1894 – 1971), painted in both oil and watercolour providing subjects that could be translated into poster art and other promotional projects. He worked for the Liverpool printing firm of Turner and Dunnett as assistant to Odin Rosenvinge, one of the most prolific of the poster artists. 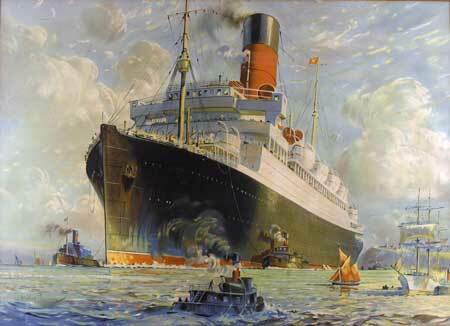 Clients of the firm included the major shipping companies Blue Funnel, Cunard, Elder Dempster and White Star Line. This painting is Walter at his best with in this inaugural poster painted in 1921 to introduce the Cunards Canadian service in 1922. Walter portrays Antonia off Quebec as she leaves port returning to England for more immigrants for Canada. He has chosen the perfect angle to show the ships towering might, designed to inspire confidence. He compounds the effect by placing smaller tugs and boats with tiny figures in the foreground to give the eye comparison. The painting can be seen in the Anglo Boer War Museum in Canada. 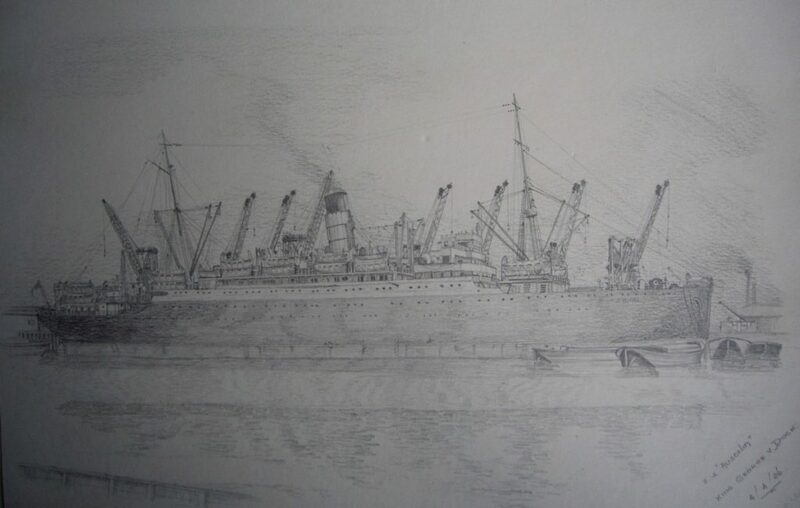 An original pencil drawing of the SS Ausonia in the King George V Dock in London dated 1926. The picture is unsigned, but is assumed to be by Douglas Ion Smart who was known to be sketching shipping on the River Thames at this period. Captain Stephen J. 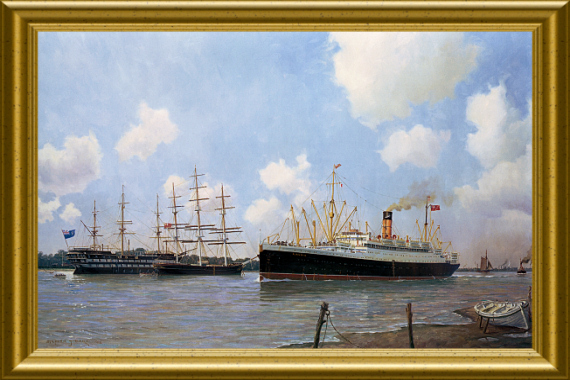 Card was commissioned to paint the SS Alaunia on the Thames and she is portrayed here on her outward bound voyage from the great port of London to Quebec and Montreal, in the early summer of 1939.